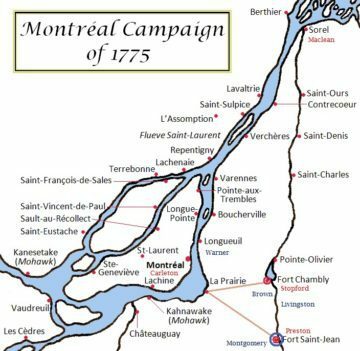 The battle was an attempt by Colonel Ethan Allen and a small force of American and local Canadian militia to capture Montreal from British forces on September 25, 1775. Allen reached the southern shore of the St. Lawrence River with about 110 men and awaited reinforcements from Major John Brown for the attack. Brown's additional forces did not appear as they had planned, isolating Allen and his men on the north side of the river. British General Guy Carleton sent a force composed mostly of Quebec militia in response to news of Allen's crossing of the St. Lawrence. This force cut off Allen's escape route, and eventually surrounded and captured Allen and a number of his men. Armies - American Forces Commanded by Col. Ethan Allen and consisted of 200 Soldiers. British Forces was commanded by Gen. Guy Carleton and consisted of 260 Soldiers. Casualties - American casualties were 6 killed, 10 wounded, 20 Americans, 11 Canadians surrendered and remaining forces scattered. The British had approximately 8 casualties. 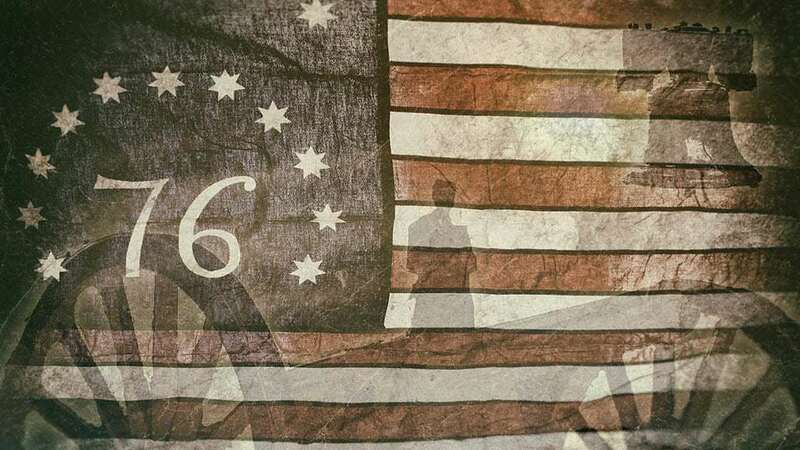 In late June 1775, the Continental Congress, in hopes of adding a 14th colony and eliminating a British base for invasion, instructed Major General Philip Schuyler to take possession of Canada if "practicable" and "not disagreeable to the Canadians." 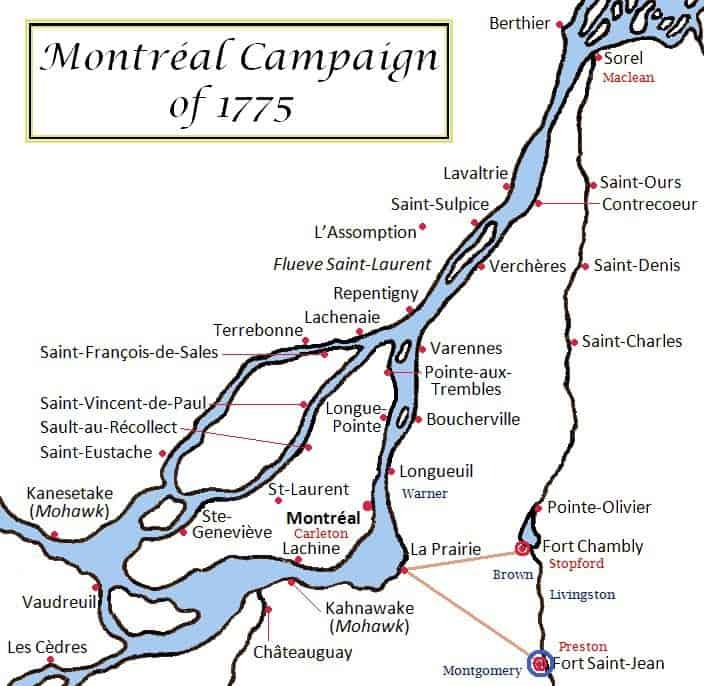 Command of the main wing of the expedition, to march via Fort Ticonderoga to Montreal and down the St. Lawrence River, passed to Brigadier General Richard Montgomery when Schuyler became ill. A second wing, led by Colonel Benedict Arnold, was to move on Quebec through the wilds of Maine. 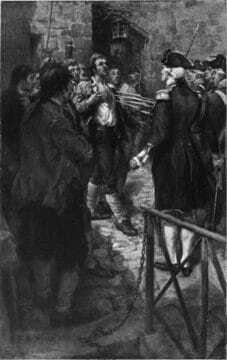 Montgomery encountered strong resistance from the British at St. Johns, delaying his assault on Montreal. While undertaking a siege of St. Johns, Montgomery sent Colonel Ethan Allen and Major John Brown ahead with separate detachments to recruit Canadian volunteers. They did manage to recruit some Canadians and, meeting together, conceived a risky plan for a converging attack on Montreal by two forces totaling about 300 men. Allen's nominal objective was to secure the bank of the St. Lawrence River and to prevent British General Guy Carleton from attempting a relief of Fort St. Jean, under siege by Montgomery. Acting on poor intelligence, the Americans decided to attack Montreal itself. On September 24, during the night, Allen with 110 men crossed the St. Lawrence River, north of the town, but was left to fend for himself when Major Brown failed to meet him. Carleton, the British commander, sortied with a force of about 35 regulars, 200 volunteers, and a few Indians. Allen, unable to recross the river, took up a defensive position a few miles from the town. Most of the Canadian recruits fled when the first shots were fired, but Allen, constantly flanked by the Indians, led his ever-diminishing army on a fighting withdrawal for over a mile. Finally reduced to 31 effectives and with a British officer "boldly pressing in the rear," Allen reluctantly surrendered. 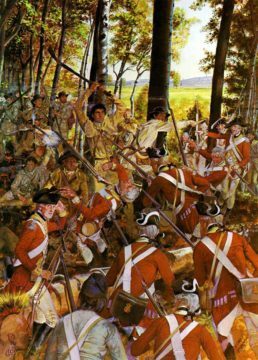 The British captured Ethan Allen, 17 other Americans, and 16 Canadians. Ten of the prisoners were wounded (2 mortally, 8 slightly). Allen also lost 5 men killed. The rest escaped. On the British side, three were mortally wounded. This abortive attack on Montreal led to the full mobilization of local militia, which soon counted 2,000 men. But Carleton still refused to organize the relief of Fort St. Jean. Disgusted, the militias eventually disbanded to attend their harvests, and Carleton withdrew to Quebec. In November, Montgomery occupied Montreal without firing a shot.